After just welcoming a new addition to their family on October 10, a baby girl named Hattie Margaret, parents Tori Spelling and Dean McDermott have good reason to want to help put a stop to teen bullying. "You have the power to make a difference," says the dad of four, three children with Tori and his son Jack, 13, from a previous marriage - in a Public Service Announcement for GLAAD. Also taking part in the new anti-bullying campaign for the American Federation of Teachers and GLAAD are Kristin Chenoweth, Amy Poehler, Shaquille O’Neal, Jersey Shore’s Vinny Guadagnino, Glee star Naya Rivera, Rashida Jones, Chaz Bono and more. And many celebs will be sporting purple to take a stand against LGBT bullying on Spirit Day, coming up on October 20. Drake is spilling his guts and coming clean in the latest issue of Elle magazine. The rapper discusses everything from his childhood to marriage and sexual encounters. 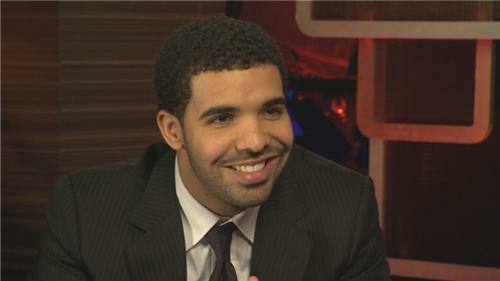 For more of Drake’s personal revelations, including how he’s used women to fill a void, tune into ET Canada tonight! Ashley Greene is Allure's November cover girl and inside the mag, the Twilight actress dishes about past relationships, alleged feuds and romance rumours. Ashley hints privacy issues may have been responsible for the demise of her romance with Joe Jonas saying, "there are certain people who are really great at keeping their private lives private. I'm not good at that." As for reports she was embroiled in a feud with another Joe Jonas ex, Demi Lovato, Ashley says it's not true. "She and I never had a problem with each other," she reveals, "but, you know, it doesn't go away. Jen Aniston still gets asked about Angelina Jolie." And when it comes to rumours Ashley and 41-year-old Gerard Butler were getting hot and heavy, the 24-year-old actress throws cold water on the reports. "He's extremely attractive," she says, "but I think he's a little too old for me." Coldplay gave a special performance from one of Spain's most famous arenas, Plaza de Toros de Las Ventas in Madrid on Wednesday night. "We decided we'd like to do a concert which we'd broadcast on YouTube live around the world and just looked for some of the most beautiful buildings we could find and this is what we came up with, in one of the most beautiful cities in the world," says Chris Martin. The show celebrates the band's release of their acclaimed new album Mylo Xyloto in Spain. Watch highlights from the pre-show and their livestream performance of "Viva La Vida" below! Guns N' Roses members DJ Ashba and Frank Ferrer showed an 'appetite for destruction' with flesh-rotting scareactors in the Acid Assault scarezone at Halloween Horror Nights 21 on Wednesday this week. 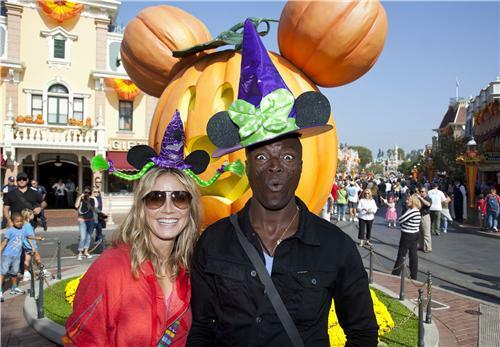 Halloween is Heidi Klum and her hubby Seal's favourite holiday and they got an extra early start kicking off the spooky time of year a whole month early. They were spotted enjoying Halloween Time at Disneyland on September 29. Gloria Estefan also got a head start on Halloween at Universal Orlando’s The Haunting of Hawthorn Cemetery haunted house during the Halloween Horror Nights 21 on October 1. But this weekend the stars are starting to make their big costume reveals, with Joseph Gordon-Levitt posting a video of himself urging people to come out in droves to his “hit RECord on Halloween” show. He has requested that all attendees come to the show with their own version of a mask made out of wirrow’s “Template Game” face. Watch Joseph's video below and scroll to see the 2011 celeb Halloween costumes we've spotted so far! Kristen Stewart in Roberto Cavalli. Kristen Stewart, Robert Pattinson and Taylor Lautner are spilling secrets from the set in new interviews with Parade. Watch below to hear Kristen dish on the Breaking Dawn love scenes and how she's become more comfortable with fame, Robert Pattinson on whether he's really a romantic at heart and Taylor Lautner on his close real life relationship with Kristen.